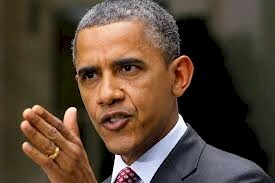 The problem is one of communication and President Obama is the one who needs to communicate. He needs to speak up. He is our leader and he should wait no longer to put his plan on the table. Waiting for Congress to speak first is not what a leader does. If he does not do this now he has failed in his job. The plan indeed should call for more taxes on the wealthy and long term cuts in spending including defense, social security, medicare and other entitlement programs. The plan must also call for investment in education, infrastructure, research and development to create jobs and enhance our future. I agree with his "balanced approach" concept; however no one has seen the details and it is past the time to disclose them. He has traveled the country and given the American people an overview of his vision to solve the country's debt problem; now he must go across the lawn to the Congress, roll up his sleeves and go line by line over his plan to get our long term debt problem under control over a 15 to 20 year time period. If there is to be a negotiation with the bandits, then we should round all the bandits up and put them into the conversation. There should be discussion on Anti-Trust Reform. Multi-national (American) corporations are making a bundle off of sweat shops abroad, and leaving the American Worker looking for non-extent jobs. That's Wrong. They should be paying sufficient tariffs to encourage a return to the American worker. They are getting a free breakfast, lunch and dinner.